There is one thing to serve God or to be eager to serve God, the question is: "Is your service acceptable to God?" I plead with you to take your time to read my write-up below. I'm convinced it will make you examine your life. Feel free to share it with your friends, your groups, in your gatherings, etc. 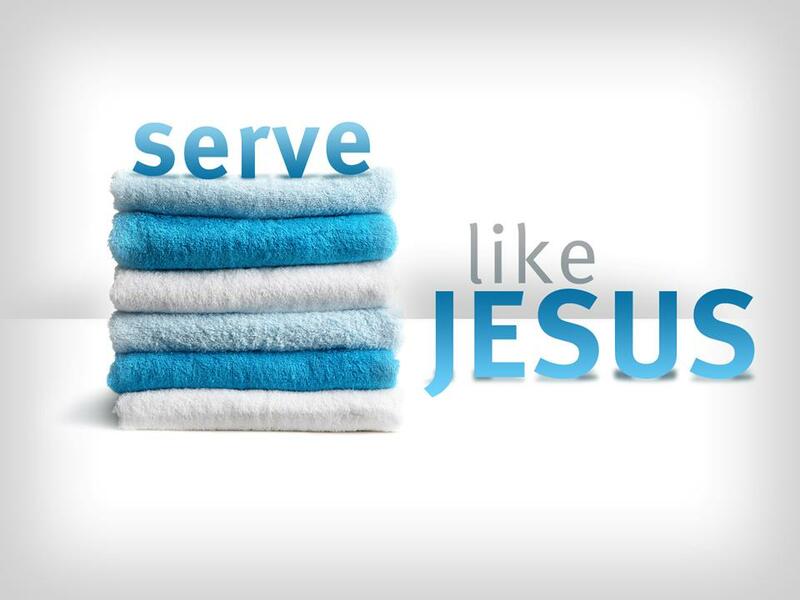 Are you serving God because it is the cool thing to do? Are you serving God because you grew up around people serving God? Have you ever asked yourself if your service is accepted by God? Is Your Service Acceptable to God? 1) The Word of God says in Hebrews 12:28 that, "since we are receiving a kingdom that cannot be shaken, let us be thankful, and SERVE God ACCEPTABLY with reverence and awe (in a way that is pleasing to God)." Are you serving God in a holy way? Are you sure your service is acceptable unto God? Have you asked God if the service that you are rendering is acceptable? Did you know that the whole purpose of our existence is to SERVE and worship God ACCEPTABLY. Are you aware that, God wanted the people of Israel to be released by Pharaoh so that they can serve Him? Exodus 8:1 says that: "And the Lord spake unto Moses, Go unto Pharaoh, and say unto him, Thus saith the Lord, let my people go, that they may SERVE me." God also said in Exodus 4:22-23 that "And thou shalt say unto Pharaoh, Thus saith the Lord, Israel is my son, even my firstborn; And I say unto thee, let my son go, that he may SERVE me: and if thou refuse to let him go, behold, I will slay thy son, even thy firstborn." Can you see how service is very important to God? Another story is when King Nebuchadnezzar of Babylon needed wise men to serve in his palace. He requested for the men to be trained for three years, to be without blemish, skilful in all wisdom, and after their three years' training, they will then be able to serve in the palace (Daniel 1:3-5). It shows that the King wanted quality service from the wise men. Now, if an earthly King wanted quality service and wanted them to be trained, what do you think God will require of you? 2) There were several instances in which God rejected the SERVICE of his PEOPLE. This means our SERVICE can be rejected by God. The Bible says about the two eldest sons of Aaron who were consecrated by Moses as priests of the most high God. The Bible says in Leviticus 10:1-3 that Nadab and Abihu, the sons of Aaron took their censers, and put fire in them, and added incense, and they offered strange and unauthorised fire before the Lord, which he commanded them not/contrary to the Lord's command. And there went a fire from the Lord, and devoured them, and they died before the Lord. Oh dear!!!! That means as a leader, a priest, you must ensure that you are commanded by God to offer a service to the Lord and the service must be what God wants for you. What went wrong with the service of Nadab and Abihu, the priests? They offered strange fire which the Lord commanded them not to. They offered service that they were not led by God to offer, which suggests that we must be LED by God in the service that we offer to God at all times. The Word of God must guide us. 3) We are to serve God in the spirit. The Bible says that, those that worship Him must worship Him in spirit and in truth? Are you worshipping and serving God in Truth? Or Are you serving God out of pretence? To serve God in the spirit means to practice love, kindness, endurance, goodness, meekness, faithfulness, joy, peace and self-control in your work. To serve God in the spirit means you deny yourself of what your natural body wants to do and allow God to lead you. Let God lead you in the way He wants you to serve Him. Recently, God led me to start attending a particular church, He told me the PURPOSE and the SERVICE that I am to render at the church. The way God told me about the church was incredibly amazing. Initially, I was reluctant to listen to His instruction, however, I reminded myself of the purpose of my existence, which is to PLEASE God and to SERVE God ACCEPTABLY. It would have been my loss if I failed to listen to God even if humans praised me. I therefore believe that it was wise of me to follow God's leading and serve where He wants me to serve. Do I regret following His leading? A definite No! 4) For your service to be acceptable, you must be FAITHFUL. God said in 1 Corinthians 4:2 that Moreover, it is required in stewards, that a man be found faithful. It means to be loyal, to be true, to be trustable, to be dependable, and to be accurate. Are you loyal in the way you are serving God? Even when you spend one to one time with God, are you loyal? Would God be proud to say that you are a loyal and faithful child? 5) You are to serve God with SINCERITY and in TRUTH. You have to make that CHOICE to SERVE God in SINCERITY and in TRUTH. The book of Joshua 24:14a states that: "Now therefore, FEAR the Lord, SERVE HIM in sincerity and in truth." v15 states that, Joshua said that, as for me and my house, we will SERVE the Lord. Are the members of your household SERVING the Lord acceptably? Do you ensure your children serve the Lord acceptably? Children are never too young to be taught how to serve God acceptably. In fact they can be given tasks in church or in the community (when you are helping others or evangelising as a family, and you can encourage them to share the Good news with their friends). Remember, Samuel started serving the Lord as a child. 6) You are to serve God with ZEAL. Be honest with yourselves, ask yourself, do I serve God with enthusiasm? Does my action show that I serve God with zeal? I used to be late to church, I gave different excuses for my lateness, God made me realise that, I was not seeing His work as important, thus my service won't be accepted as I was taking His work with levity. God asked me to ponder on a question: "Lafunky, if you were going to catch a plane, would you be late to the airport? Would you constantly miss your flights?" Psalm 69:7 states that, David was consumed by zeal. Do you know what it means to be consumed? It means, he was thorough with God's service. He gave it ALL. He DEVOTED all. Psalm 69:7 says that : "For it is for your sake that I have borne reproach, that dishonour has covered my face. I have become a stranger to my brothers, an alien to my mother's sins. For ZEAL for your HOUSE has consumed me, and the reproaches of those who reproach me have fallen on me." 7) For your service to be accepted, your life must be WORTHY and Blameless unto God. You must strive towards pleasing the Lord at all times. You must be quick to turn away from your sinful habits and lifestyle. You must be quick to seek help with your sinful habits. DON'T BE SERVING the Lord while SINKING in Sin. Your service would not be accepted even if you are praised by people. DON'T serve God and grumble about others, don't serve God and lust after women/men in your mind, don't serve God and beat your wife/husband, don't serve God and live in fornication, don't serve God because of what someone would say. CHOOSE to SERVE GOD in HOLINESS and in FAITH. Let the way you live your life be PLEASING to God. How would you know what is PLEASING, Good and ACCEPTABLE to God? It is when you take time every day to study God's Word. When you consciously discipline yourself to practise what the Word of God says and when you tell the HOLY SPIRIT to help you. Ephesians 1:4 says that, God chose us in him before the creation of the world to be holy and blameless in his sight. To be blameless is to live without fault in God's eyes. 8) For your service to be acceptable, you must serve the Lord with GLADNESS and JOY. Regardless of the circumstances that come our way, God wants us to rejoice before Him, trust in Him and worship Him. Psalm 100:2 says that: "Serve the Lord with gladness. "And it was so, that when they that bare the ark of the Lord had gone six paces, he sacrificed oxen and fatlings. And David DANCED before the Lord with ALL his might; and David was girded with a linen ephod. So David and all the house of Israel brought up the ark of the Lord with SHOUTING, and with the SOUND of the trumpet. "- How amazing is that?! I can visualise how David and His people were. 9) Serve the Lord in humility. Your service will not be acceptable if you are proud. It is a privilege to serve God. Do not ever think that without you, the service of God will not continue. Do not think you have attained everything and so cannot submit yourself to anyone or you don't need to read your Bible. Do not also think that you are MIGHTY and you cannot be corrected or you cannot associate with someone below you in the Christian faith. Do not think you won't be tempted or you won't ever fall into sin. You have to be watchful at all times so that the spirit of pride will not dwell in you. God said that, we should be clothed with humility, for God resist the Proud, and give grace to the humble ( 1 Peter 5:5) . In fact, Jesus Christ said that, "Take my yoke upon you, and learn of me; for I am meek and lowly in heart. "- Matt 11:29. Cross check your life with Jesus Christ to see if you are humble. 10) Serve God because you love Him, and because you are looking forward to pleasing Him. Your service won't be accepted if your aim is to just please others and you missed the focus that it is for God. Colossians 3:22-24 says that "Bondservants, obey in all things your masters according to the flesh, not with eye service, as men-pleasers, but in sincerity of heart, fearing God. And whatever you do, do it heartily, as to the Lord and not to men, knowing that from the Lord you will receive the reward of the inheritance; for you serve the Lord Christ." Bondservants, be obedient to those who are your masters according to the flesh, with fear and trembling, in sincerity of heart, as to Christ; not with eye-service, as men-pleasers, but as bondservants of Christ, doing the will of God from the heart, with goodwill doing service, as to the Lord, and not to men, knowing that whatever good anyone does, he will receive the same from the Lord, whether he is a slave or free. (Ephesians 6:5-8 NKJV). This is the time for you to evaluate your service to the Lord. Is it acceptable? Be sociable and share this post with your friends. This is deep. God bless you sis! Thank you so much for taking your time to comment. Amen to the prayer. Thank you. Certainly, God has unveiled to us how we should serve Him acceptably, if only we take time to learn. God refresh your anointing. Exactly what I want to hear. God used you for me. God bless you, my sister. Amen. Thank you very much for taking your time to comment.